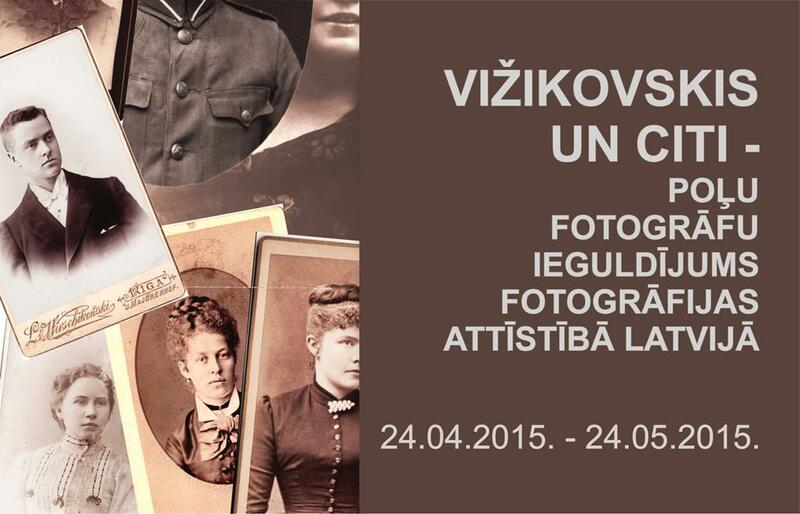 Exhibition “Wyrzykowski and others – contribution of Poles to the development of photography in Latvia” consists of more than one 100 a century old photographs. The exhibition presents the works from the end of 19th and beginning of 20th century, made by Polish-origin photographers, who lived and worked at the territory of modern Latvia. All the photographs were made in 1868-1940 in Riga, Liepaja, Ventspils, Jekabpils, Daugavpils and Jelgava by Leonard Wyrzykowski, Jóżef Kowalewski, Włodzimierz Malinowski, Bolesław Talat-Kiełpsz, Leon Bećalis, Alfons Obolewicz and other photographers of Polish origin. All of them were the artists who contributed to modernization of photography at that time period, widely using new techniques, lighting and composition in their works. The exhibition is a common project of the Embassy of the Republic of Poland in Riga and Vladimirs Eihenbaums, director of the wooden building renovation center “Koka Riga”. The photographs come from the collection of V.Eihenbaums, Jerzy Beinarowicz as well as from the private archives of the descendants of Leonard Wyrzykowski, Bolesław Talat-Kiełpsz and Leon Bećalis.